The Journey Reaching My Running Goal for 2012! When I entered 2012 I was signed up to take part in a relay marathon run. We each had a little over 5 miles to run. At that point it was my longest race and my part was pretty tough. I was very proud of my time and once I finished I was ready for what was next. When you receive your first medal there is no turning back. I was ready to sign up and train for my first half marathon. I decided it was going to be the New Orleans Rock n Roll Half Marathon. I realized its not just the run but the journey getting there. The 16 weeks training up to the point of race day is such a growing experience. You learn just how far you can push yourself. You also find that mentally you can push yourself in a completely new direction. One of my favorite moments was steps away from the finish line. The first time to ever cross the finish line in a half marathon is something I will never forget. Having my family there was also amazing. I was very pleased with my time for my first half marathon!! Here is where I made my mistake.........I was ready for my next medal but didn't plan properly. I went 4 weeks and jumped right back into a run. I didn't train properly because I was worn out from my first 16 weeks of training. I thought I could take a break and feed off my first run. Also the temperature was completely different. I went from New Orleans in early March to Florida beach in April. I learned so much from this run. I really made so many mistakes from temperature, training, and taking in to many electrolytes. But I did finish!!! I did not want to end my year with a race like my 2nd one so I signed up for one more. Savannah Rock n Roll was the one to end the year. What a run this was! Without a doubt this was my favorite. I was ready and trained hard! I also ran a handful of 5k races during the year and with each I was able to improve my time. Now I need to lay out a plan for 2013. 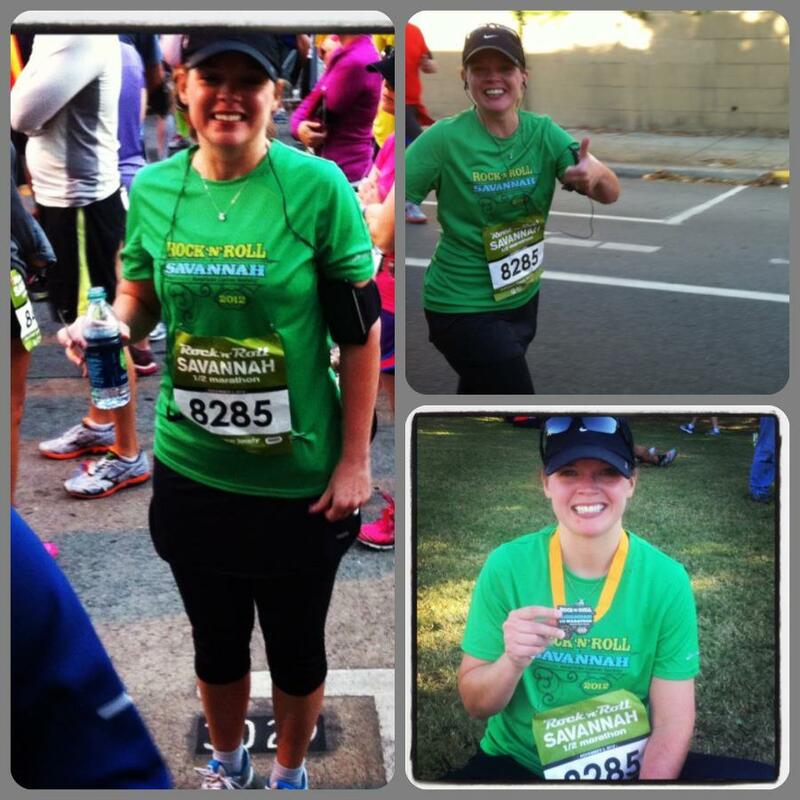 What races do you plan to run in 2013? you had a great year and a lot of progression! i love the RnR new orleans medal, i'd love to do a race there! You had a really exciting running year. I will never forget my first 1/2 marathon. It was Memorial Day Weekend of 2008. I had never trained for it, but had been running on a regular basis. I signed up for it two weeks before race day. Haha. It was nice having my fiance (now husband) there to support me. Of course he went and slept in the car with our puppy while I was running, but I finished and then went home and signed up for my first marathon for that October. Not exactly sure what I will run in 2013. Boston was supposed to be my big race, but since I didn't register I will have to focus on something else. I am going to run a marathon in May as long as my injury doesn't flare back at me.